Did you know that Red Lobster is remodeling? 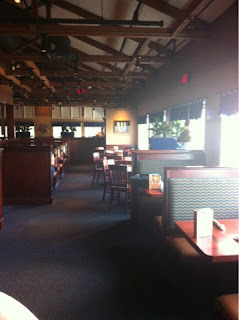 I haven't been to a Red Lobster in a while, but my sister and I recently were out and stopped in one for lunch. She noticed the changes, and said it used to be like a nice Long John Silvers, but they seem to be going more towards the sit-down restaurant theme now. The location we visited also had a large bar when you first walked in, with a couple TVs playing sports. There were quite a few places to sit, with a combination of booths, tables and booth tables (one side booth seating, the other side chair seating.) It was very clean and welcoming. While the decor was nice, although a little dark for my taste, we were really there to eat lunch! I have to say we thoroughly enjoyed our lunch! I started with a Boston Iced Tea, which is cranberry juice mixed with iced tea. I like to cut my iced tea with juices, and I liked the tartness that cranberry juice brought to the tea. We then shared a shrimp cocktail. 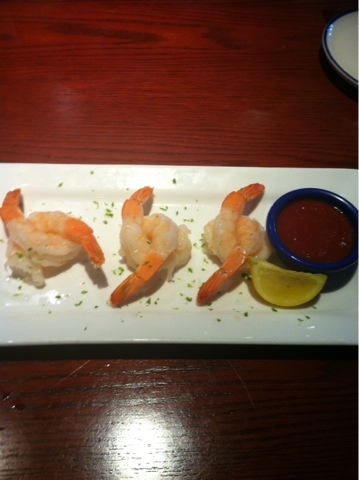 The shrimp were chilled and had the perfect texture. The sauce was tart, but not too tart. It was a nice complement to the shrimp, and we ate it up in no time! 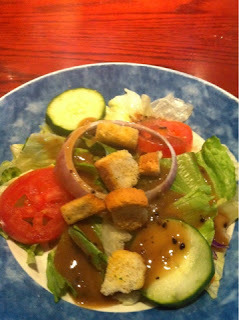 I enjoyed a house salad before my meal. The lettuce and vegetables were chilled and crunchy. There was nothing fancy about it, but it was a good salad. For my main course, I enjoyed a lobster, crab and pasta dish. It was cooked perfectly, including the asparagus! 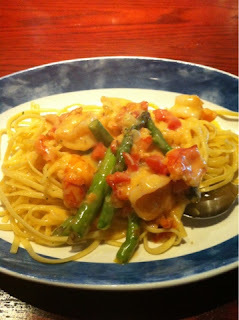 The seafood was plentiful, and the sauce was creamy and delicious. My sister ordered the fish and chips and said that it tasted very good. 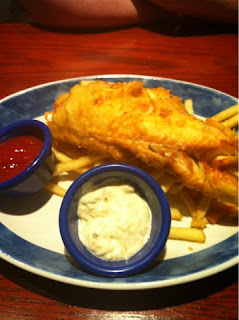 The fish was flaky, and the breading was light and crispy. If you like thin fries, then they have the fries for you. Overall, it was a delicious lunch. The service was friendly and prompt! I would definitely visit again, and recommend it to others.